You are here: Home / Search for "Maria Teresa De Donato"
An Italian native, I moved to the States more than twenty years ago. Although in Italy I graduated in Tourism (and Foreign Languages) and studied Journalism, it was in the United States and much later in life that I went back to my academic studies and graduated with a Bachelor, a Master and a Doctoral Degree in Holistic Health. 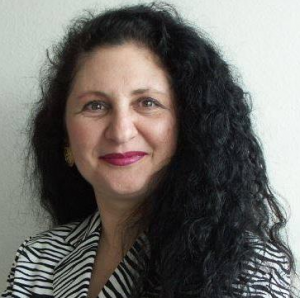 I am a certified and registered Traditional Naturopath, Classical Homeopath, and Life Strategist. My coaching activity, which started more than 30 years ago as Personal & Spiritual and Marriage & Family Coaching, later on included also Education & Career and eventually Health-Lifestyle-Wellness Coaching as well. As a Life Strategists I am certified in Conflict Analysis, Negotiation & Conflict Management, with training including also Anger Management, Communication and Psychology. My latest book is titled Hunting for The TREE of LIFE – A Spiritual Journey in the Garden Traditions and I am Coauthoring it with Rev. Anneli Sinkko, M.Phil (Retired). Having been all my life a person with a strong spiritual/inner life, I have always been interested in spiritual, religious and even esoteric topics. The “Mystery of Life”, the Sense of Sacred that surrounds all of us and all that is, and the understanding of the very reason for being “here” and for having such an amazing potential when it comes to fully enjoy life compared to its relatively short duration…have always fascinated and intrigued me. My desire, therefore, is to “penetrate” and “unveil” this mystery and somehow contribute to move the human knowledge a few steps forwards in the right direction. This is what motivated me to write this book. I had already started working on it when I decided to invite Anneli to join me. Due to our very different cultural and religious backgrounds, knowledge and understanding of these topics, I thought that our similarities, but above all our differences could contribute to make this book even more interesting and successful. She was very happy to join me in this adventure and we wrote the book in record time. Yes, I do, and since a very young age. In fact, whenever I have to write about something, most of the time I do not do so right away. It’s like I need some time to let my thoughts/ideas come to me from wherever they are. Once they “get there”, then I start writing at the speed of the light. This means that sometimes I can stay a long time sitting at the PC …in a sort of contemplative state…and apparently doing nothing, while in reality I am well aware that “something” is in fact happening despite my stillness and non-action state and that I will soon be writing interesting things. As I mentioned before, I am interested in many topics and disciplines. My “holistic” view of life and health does not include only the “mind-body-spirit” connection, but rather the understanding that all relates to all that is. I am a great observer. I like to see and identify differences as well as similarities; I like to “see” beyond appearances and understand what might be referred to as the metaphors and symbolisms of Life, of Nature. As a result of the way my mind works, I have also a multidisciplinary approach to almost everything. I am also very passionate about different cultures, history, psychology and sociology. Having said that, some of the authors that have influenced me the most are Erich Fromm, Ruediger Dahlke, Richard Bach, Tiziano Terzani, Luigi Pirandello, Kahil Gibran, Lao Tzu, Oriana Fallaci and many more. Right now I’m working on a few writing projects: a couple related to Holistic Health and Lifestyle; and a couple of historical nature. I try to use al the means (or at least as many as I can) available out there, this including social media and interviews. Yes, I do. Writing is a hard work: being passionate about it is not sufficient and does not guarantee success. You also need to be very disciplined about your approach and persistent. Write regularly and make a habit of it. Don’t take no for an answer. You have a dream to realize: keep moving forward and never give up. Finishing the projects I’ve been working on for quite some time and getting them published.